← Outdoor Cooling System at Da Big Kahuna at Beach Pleace in Fort Lauderdale, Florida. 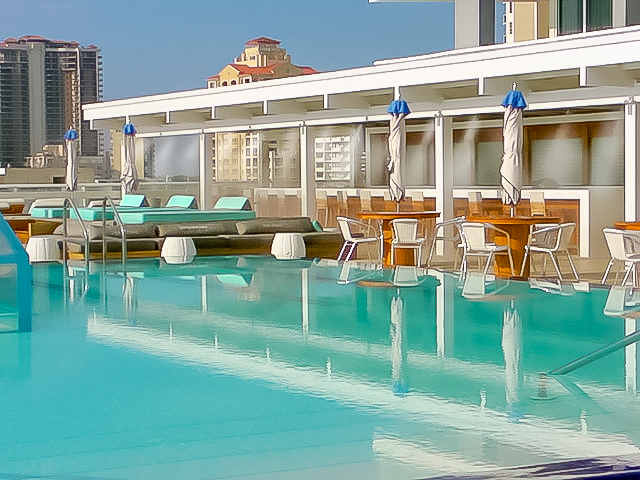 The W Hotel in Fort Lauderdale, Florida selected Outdoor Cooling Systems to install this high pressure misting system. 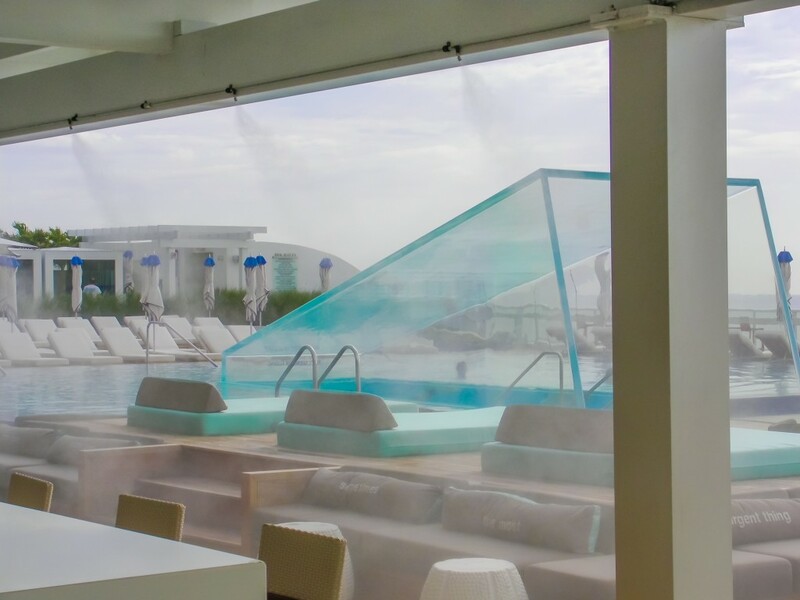 Outdoor Cooling Systems installed this high pressure misting system at the W Hotel – Fort Lauderdale. Stainless steel tubing with welded nozzle extensions was installed along the length of the pergola. This pool is located on the roof of the third floor. 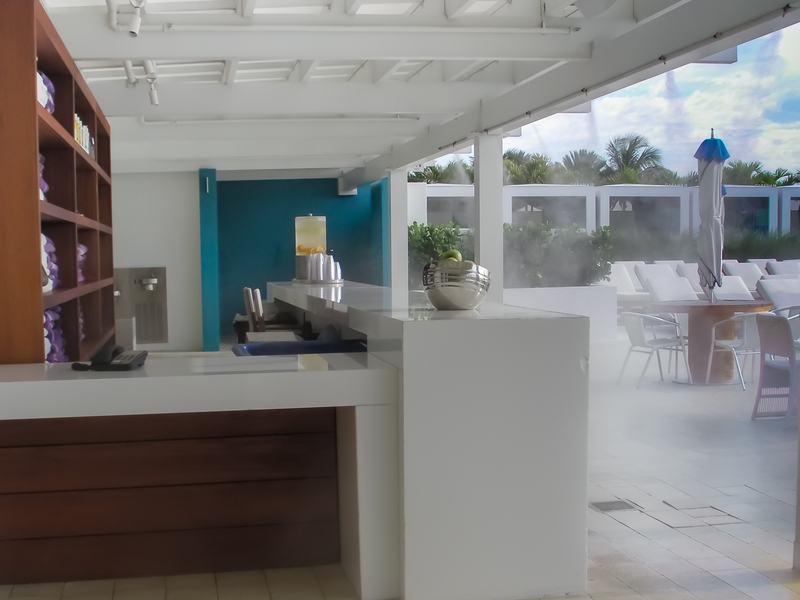 This misting system was designed to cool patrons at the bar area. The prevailing winds usually blow the cool air directly into the bar area. Outdoor Cooling Systems is the leading manufacturer, designer and installer of high pressure misting system in Florida. Our system can be adapted to work effectively in both humid and dry climates. Our industrial duty misting pumps are the most reliable on the market. Misting Direct brand stainless steel tubing is permanent and very corrosion resistant. 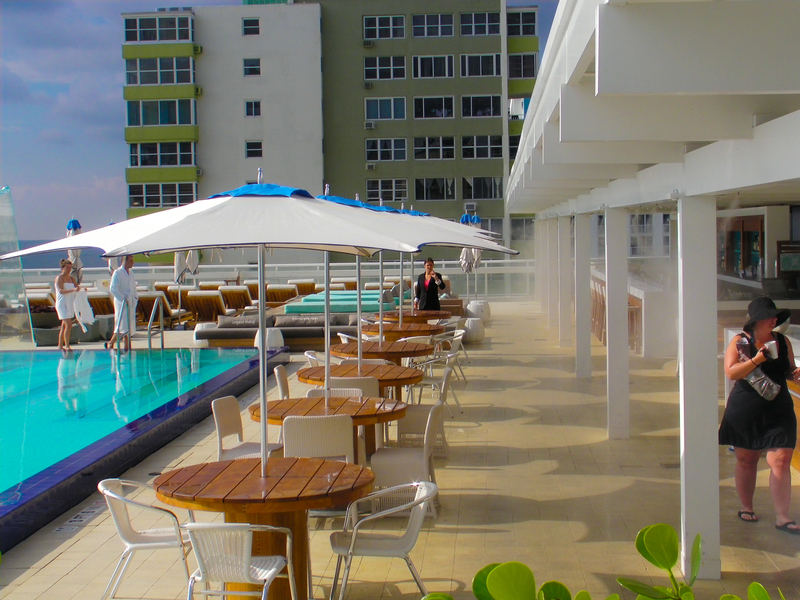 Outdoor Cooling Systems has designed and installed some of the finest misting systems in the industry. This entry was posted in Uncategorized and tagged hogh pressure mist, hotel misting system, mist cooling, misting system, w hotel, w hotel mist. Bookmark the permalink.